Alcohol abuse is a serious problem. It is a pattern of drinking too much alcohol too often. It interferes with your daily life. You may be suffering from alcohol abuse if you drink too much alcohol at one time or too often throughout the week. It also is a problem if you can’t stop drinking and it harms your relationships. It can cause you to be unable to function at work and in other areas of your life. It can lead to physical dependency on alcohol, or alcoholism. Too much alcohol at one time also can lead to alcohol poisoning. One alcoholic drink is defined as 1, 12-ounce bottle of beer; 1, 5-ounce glass of wine; or 1.5 ounces of 80-proof distilled spirits (such as whiskey, rum, or tequila). You drink 7 drinks per week or more than 3 drinks per occasion (for women). You drink more than 14 drinks per week or more than 4 drinks per occasion (for men). You have more than 7 drinks per week or more than 3 drinks per occasion (for men and women older than 65). Consuming these amounts of alcohol harms your health, relationships, work, and/or causes legal problems. You have tried stopping for a week or more, but can’t make it past a few days. You can’t stop drinking once you start. You recognize you need to stop or cut back. You are unable to perform at work or home when you are drinking. Others are telling you that you have a problem. You feel annoyed by criticism of your drinking. You have a drink in the morning to get yourself going after drinking too much the night before. You have physically hurt someone else or yourself after drinking too much. This could be due to accidents or violence. You hide your drinking or your alcohol. You have blackouts and memory lapses after drinking too much. You are getting traffic or driving tickets while under the influence of alcohol. Your drinking is interfering with your relationships. Alcohol affects your health in other ways, too. It can cause cirrhosis, a disease of the liver. It’s a significant cause of deaths and injuries because of accidents. It can damage your baby’s health if you drink alcohol during pregnancy. It can cause a bleeding ulcer and irritate the lining of your stomach. Alcohol also can cause you to gain weight, feel sick or dizzy, cause you to have bad breath, and make your skin break out. People abuse alcohol for many reasons. It may be due to social pressure, a desire to relax, a coping mechanism for anxiety, depression, tension, loneliness, self-doubt or unhappiness, or a family history. Repeated use of alcohol interferes with your responsibilities at work, home, or school. Repeated use of alcohol puts you or someone else in physical danger (driving, operating machinery, mixing alcohol and medicine, drinking alcohol while pregnant). Repeated alcohol use leads to legal problems. Repeated alcohol use harms your relationships. Can alcohol abuse be prevented or avoided? Limit yourself to one drink when by yourself or with friends. Seek treatment for underlying mental health conditions. Avoid spending time with others who abuse alcohol. Consider joining a support group made up of others facing the same challenge. Your doctor may screen for alcohol abuse. The American Academy of Family Physicians (AAFP) recommends screening adults aged 18 years or older for alcohol misuse. Also, AAFP recommends teaching teens between 12 and 17 years old to avoid alcohol. 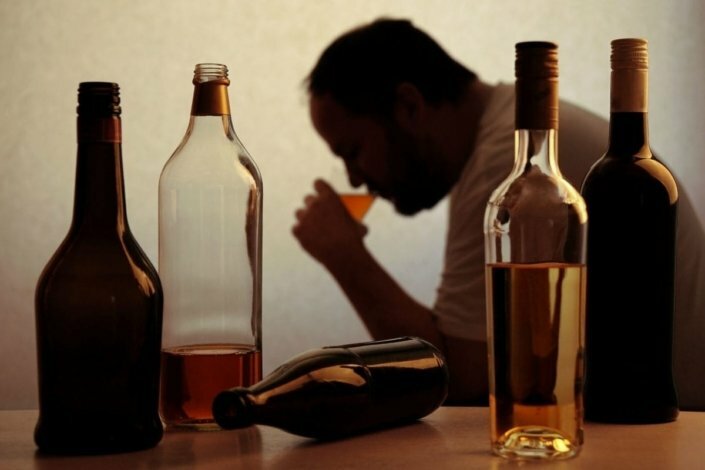 If you are the one suffering from alcohol abuse, the first step is recognizing you need help. Many studies show that people struggling with alcohol abuse can benefit from some form of treatment. However, everyone is different. Not all treatments work the same for every person. The sooner a person seeks treatment, the better the outcome. Behavioral therapy can be used to treat alcohol abuse. Therapy can take the form of support groups, counseling, or a combination of the two. Some prescription medicines can treat alcohol abuse by helping people stop or reduce their drinking. As with all medicines, some might cause side effects. One you have found a treatment that is effective for you, it’s important to stick to that treatment. Also, it’s helpful to avoid situations that involve a lot of alcohol. Living with alcohol abuse means recognizing the triggers that make you want to drink. For example, hanging around with others who drink will make it difficult for you. You may be experiencing stress or unhappiness in your life and don’t have a counselor or friend to talk with. This could cause you to turn to alcohol to help you cope. Living with alcohol abuse will continue to be a struggle if you do not recognize that you need help. You will continue to jeopardize your safety, your job or school, and your relationships. Can alcohol abuse begin when you are elderly? Will prescription medicines used for alcohol abuse interact with other medicines I take for my health? Can I take antidepressant medicine while being treated for alcohol abuse? Can I drink occasionally if I am suffering from alcohol abuse and can stop after one drink?